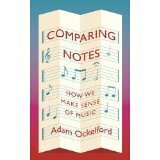 Professor Adam Ockelford is Director of the Applied Music Research Centre at the University of Roehampton in London. 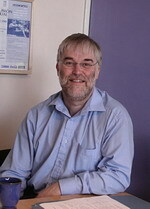 He trained as a musician at the Royal Academy of Music in the 1970s before developing an interest in music psychology. One of his main areas of research is in children with special music abilities or needs - particularly those on the autism spectrum - and he and Derek Paravicini, the musical 'savant' with whom Adam has worked for over 30 years, have a renowned TED talk to their name: https://www.ted.com/talks/derek_paravicini_and_adam_ockelford_in_the_key_of_genius. Adam is in demand internationally as a speaker, and has appeared on TV and radio all over the world. I came into contact with Andrew Lownie via the producer of the 'Extraordinary People' documentary, Martin Weitz, who runs the television company Focus Productions in Bristol. 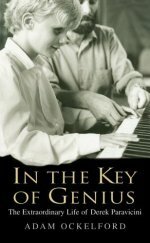 Adam Ockelford’s In the Key of Genius: The Extraordinary Life of Derek Paravicini has been optioned by producer and writer team Daniel Persitz and Devon Kliger. Profile have bought UK & Commonwealth rights in Music: New Answers to Frequently Asked Questions in which music psychologist Adam Ockelford answers questions on the role of music in our lives.